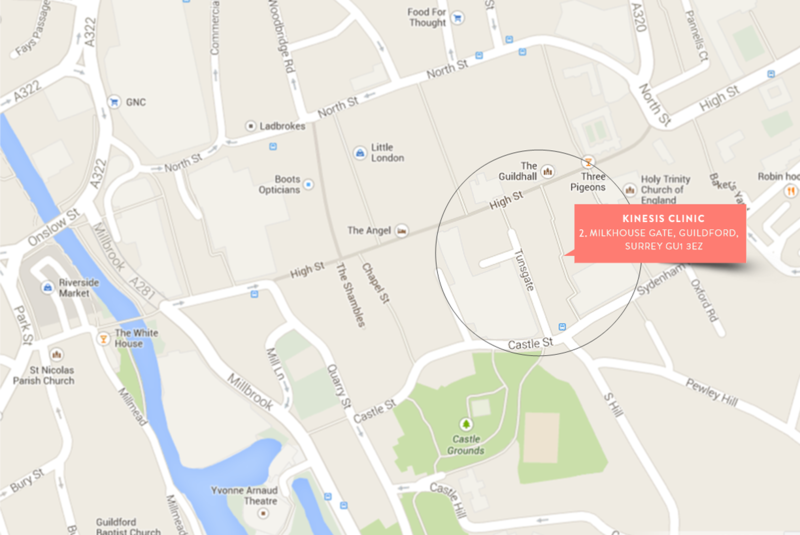 Kinesis Clinic is situated at 2. Milkhouse Gate, in a cobbled lane just off Guildford High Street. The clinic is between Sydenham Road and the High Street. The lane provides a natural link from Castle car park to the High Street, where it opens out between Molton Brown and Sainsbury’s. Parking is conveniently located at Castle car park on Sydenham Road or street parking is available around the Tunsgate. 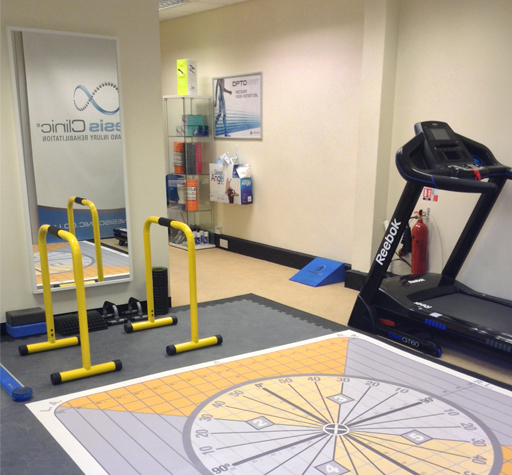 Guildford mainline train station and Guildford London Road station are 10 minutes walk from the clinic. Please note that we need 24 hours notice if you cannot make an appointment or the full fee may be charged. Please remember that you are directly responsible for the cost of your treatment on the day, this can then be claimed back through your private insurance. A receipt will be provided as proof of your payment which you can then produce to your insurance company. However please remember there may be an excess on your policy.